An anesthesiologist’s primary job is to keep patients safe as they traverse the challenging experience of surgery. In addition to practicing vigilance, the anesthesiologist must have expertise in pharmacology or the use of drugs, many which have botanical roots. Based on this insight, it should come as no surprise that as a board-certified anesthesiologist trained in conventional medicine, pharmacology and alternative medicine, David H. Rahm, M.D. uniquely understands the importance of safety, quality and efficacy when formulating VitaMedica products. That’s why for over a decade, more than 2,000 physicians across the country have trusted VitaMedica nutraceuticals to help their patients recover after surgery or maintain their surgical results for years to come. With so many nutritional supplements available today, it is often difficult to determine product quality. However, just like with any other product category, differences exist between companies and brands. By reading below, you’ll learn more about the manufacturing processes and standards; evidence-based formulations and ingredients we select which distinguish our products. As you will learn, the pharmaceutical standards we employ at each stage ensure that our promise to deliver safe, high-quality nutraceuticals is exceeded. Like us, you’re concerned about the environment. That’s why you’ll be pleased to find out about our green initiatives. We use recycled fiber board and green packing materials to limit our impact on the environment. We often hear that nutritional supplements are not regulated. That’s not true. Dietary supplements – the official term given by the Food and Drug Administration (FDA) for these products – are regulated; just differently than drugs. And, there’s good reason for this distinction. Dietary supplements have a broad range of safe intake. To better understand how the FDA regulates the dietary supplement industry, let’s take a brief look at the history. In 1994, Congress passed the Dietary Supplement Health & Education Act or DSHEA. At the time, Congress recognized that the health status of U.S. citizens was a national priority and that the use of dietary supplements could help prevent chronic diseases and maintain good health. Given the evidence in favor of making these products more widely available to consumers (e.g., calcium for osteoporosis prevention, folate for preventing birth defects), the amendment was passed and signed into law by President Clinton. Prior to 1994, dietary supplements were regulated as food ingredients. With the passage of DSHEA, dietary supplements were now regulated more like foods. As with any other foods, it was the manufacturer’s responsibility to ensure that its products were safe and properly labeled prior to marketing. The passage of DSHEA granted the FDA the authority to establish good manufacturing practice (GMP) regulations which cover the preparation, packing, and holding of dietary supplements under conditions that ensure their safety. These regulations were to be modeled after GMP regulations in effect for the rest of the food industry. For a variety of reasons, it took the FDA until March 2006 to establish industry-wide standards, referred to as Current Good Manufacturing Practices (cGMPs). The rule had a three year phase-in period based on company size. However, all suppliers, manufacturers and packagers of dietary supplements are required to meet these new manufacturing standards by June 2010. The cGMPs require manufacturers to establish and meet specifications for the identity, strength, composition, quality and purity of dietary supplements. This ensures that consumers buy supplements that are not adulterated, contain the dietary ingredients declared on the product’s label and contain the amount or strength listed on the label. The good news is that with the new regulations, marginal players will be forced to clean up their act. For reputable companies like VitaMedica, the new regulations don’t change anything. Since inception, our nutraceuticals have been made in two facilities that are licensed to produce drugs, using manufacturing practices that parallel those adopted by the drug industry. That’s why we refer to our products as Pharmaceutical-Grade. These drug standards have a higher level of scrutiny compared with those used in the dietary supplement industry. Each of our facilities is routinely inspected by the FDA. In addition, each facility has passed rigorous dietary supplement manufacturing certification by independent third parties organizations like the National Products Association, NSF International and National Nutritional Foods Association (NNFA). The following gives a partial list of the practices we employ to provide you with superior-quality supplements. We control every facet of manufacturing – from receipt of raw materials through analysis of finished goods. – Quarantining all incoming raw materials immediately upon receipt from pre-qualified suppliers. – Subjecting the quarantined raw materials to analysis prior to their release to production. – Analyzing a formulation after blending a product to confirm ingredient accuracy and potency. – Conducting in-process inspections throughout manufacturing, including fill-weight, hardness, thickness, disintegration and friability (easily crumbled), as well as other tests for compliance verification. – Visually inspecting every finished unit dose to prevent the packaging of cosmetically substandard products. – Quarantining finished goods until Quality Control chemists complete a final analysis and confirm that the product is correct. – Retaining bottled samples of each production batch for five years by Quality Assurance/Quality Control for future reference. – Indicating a lot number and expiration date on each bottle to ensure product freshness and delivery of the nutrients as stated on the label. In addition to nutraceuticals,VitaMedica’s product line includes homeopathic Arnica Montana. Most are surprised to learn that homeopathic remedies are not regulated as dietary supplements but as drugs. Since 1938, homeopathic medicines have been classified as drugs under the federal Food, Drug, and Cosmetic Act. Official homeopathic drugs are those that have monographs, which are official listings of drug data, in the Homeopathic Pharmacopoeia of the United States (HPUS). As an example, homeopathic Arnica Montana has a monograph. The HPUS is prepared by a nongovernmental organization, the Homeopathic Pharmacopoeia Convention of the United States, which is composed of scientists and clinicians trained in the medical specialty of homeopathic medicine. Similar to the cGMPs set forth by the FDA for dietary supplements, HPUS establishes a set of standards for manufacturing homeopathic medications. Because homeopathics are considered drugs, a company marketing these products must register with the FDA and obtain a National Drug Code or NDC number. Each homeopathic medication bears this number along with the lot number. In 1996 when Dr. Rahm started counseling patients at The Wellness Center, he recommended that they augment their diet with Omega-3 fatty acids. 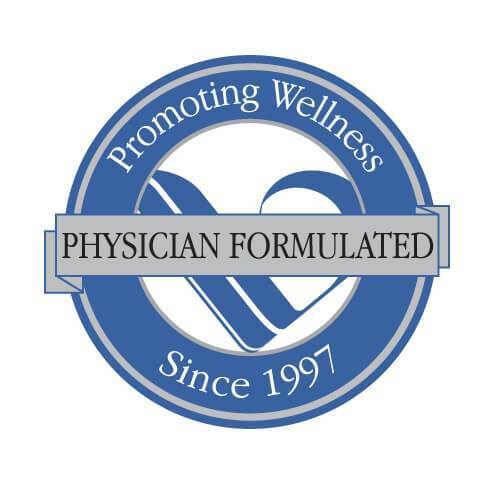 After investigating a number of companies that specialize in organic seed oil production, Dr. Rahm started exclusively recommending Omega Nutrition nutriments for his patients. Over 15 years later, our partnership with Omega Nutrition allows us to offer the highest quality flax seed oil that is certified organic, kosher and GMO free. As a Canadian based company specializing in the production of flax and culinary oil products for over 20 years, Omega Nutrition is an industry leader that we’re proud to partner with. If the FDA has leveled the playing field by mandating all those involved in the dietary supplement industry to adhere to Current Good Manufacturing Practices, how do brands and products differ? Product formulation is a good place to start. You’ve probably seen the latest supplement advertised on the internet promising to deliver magical results (e.g., acai berry for rapid weight loss). Or, perhaps you’ve purchased a supplement based on an ingredient (e.g., CoQ10) but later realized that very little of this nutrient was present in the formulation. Instead of using the “latest & greatest” or negligible amounts of expensive ingredients, we take a different approach. VitaMedica’s nutritional supplements are developed using evidence-based medicine. That’s why our tag line is “The Science of Natural Health”. Evidence-based medicine aims to apply the best available evidence gained from a review of published research studies. Reviewing the studies helps to identify the appropriate dosing and timing of nutrients to deliver a given benefit. A significant body of research is available and being conducted by universities on an ongoing basis. Each month, medical journals such as the American Journal of Clinical Nutrition and Journal of the American Dietetic Association publish the results of clinical studies on a wide variety of nutrition topics. Medical specialties including plastic surgery, family practitioner and dermatology periodically publish studies on nutrition in their respective medical journals. Aside from universities, the government also researches and publishes studies on nutritional supplements. As part of DSHEA, an office within the National Institutes of Health called the National Center for Complementary and Alternative Medicine (NCAM), was established to explore the potential role of supplements to improve health care in the U.S.
David H. Rahm, M.D., our chief medical officer, is responsible for keeping abreast of the latest studies and nutritional information. As the science changes, Dr. Rahm may make an adjustment to our formulations. A perfect example is our multi-vitamin & mineral. Over the past few years, studies have pointed to higher intakes of vitamin D in both adults and children. Based on this evidence, the amount of vitamin D in our daily multi-vitamin & mineral was recently increased from 375 IUs to 900 IUs. This example also demonstrates that the optimal amount of a nutrient may be quite a bit higher than the Reference Daily Intake (RDI) developed by the Institute of Medicine. RDIs, which are seen on nutrition labeling and represented as % Daily Values, reflect the minimum requirement needed to prevent deficiency diseases. These allowances do not take into consideration that higher levels of certain nutrients may be beneficial in the prevention of chronic degenerative disease such as heart disease, cancer and stroke. In the example above, the RDI for vitamin D is 400 IUs. At 900 IUs per day, the percent Daily Values of 225% is quite a bit higher than the RDI but well within the Tolerable Upper Intake Level (UL) of 2,000 IUs. Developing a formulation using evidence-based medicine is the first step in delivering a high-quality nutritional supplement. The next step is to select high-quality ingredients. This seems pretty obvious but lower-priced brands do not use the highest quality ingredients because they cost more. As with so many things in life, the expression “you get what you pay for” applies equally well to nutritional supplements. The United States Pharmacopeia (USP) sets widely recognized standards for food ingredients and dietary supplements. Ingredients that pass USP’s rigorous verification processes help manufacturers recognize that they are buying ingredients of consistent quality for use in the supplements they manufacture. VitaMedica uses USP certified ingredients in all of our formulations. Companies that offer branded ingredients typically spend large sums of money to research and develop an ingredient. While more costly, these ingredients support their use for various applications. Where possible, VitaMedica uses branded ingredients including Betatene®, FloraGLO® and Pycnogenol®. Vitamin E does not refer to just one compound but to a family of eight compounds: four tocopherols and four tocotrienols. The B-complex also refers to a family of eight vitamins including niacin, riboflavin and folate. In nature, these vitamin families tend to appear together, creating synergistic, beneficial effects. When isolated in a supplement form, their benefits are less well understood. When our formulations call for these vitamins, we formulate with the entire vitamin family to optimize the health benefits. Not all vitamins are available in the natural form. But, wherever possible, the natural form should be selected as research has demonstrated that this form is more readily absorbed than their synthetic counterpart. In the case of vitamin E, the natural form is indicated as “D” as in d-alpha-tocopherol whereas the synthetic form is referred to as “D-L” as in dl-alpha-tocopheryl acetate. VitaMedica’s formulations use the natural form of vitamin E and a natural, mixed carotenoid blend called Betatene®. Our bodies have a difficult time absorbing minerals. The use of chelation – a technology that attaches an amino acid to minerals – facilitates mineral absorption. VitaMedica’s formulations use minerals that have been chelated with a rice protein. Nutritional supplements should not contain any preservatives or colorants which can cause allergic reactions in some individuals. Examples include FD&C Yellow #6 and FD&C Blue #2 Lake. VitaMedica formulations do not contain any artificial dyes or colorants. VitaMedica nutritional supplements contain no sugar, yeast, gluten, corn, dairy products, flavoring or preservatives, all of which can cause allergic reactions in some individuals. We’re concerned with maintaining a healthy balance not only with our bodies but with our environment too. All of our bottles are packaged in highly recyclable PETE or glass. These bottles provide excellent barrier resistance to maintain the shelf-life of the product. Additionally, the materials used can be recycled and reused for other products. Our unit boxes are made from 100% recyclable paper board which is certified by the Forest Stewardship Council (FSC), a non-profit organization that represents the world’s strongest system for guiding forest management toward sustainable outcomes. Instead of using polystyrene-foam packaging peanuts, we use starch-based peanuts. These peanuts still pack, protect and pad fragile items during shipping but can be dissolved in water and washed right down the kitchen sink.